Whirpool got their break in 1911 when they created an electric wringer/washer. Since then the company has emerged as the world's leading manufacturer of home appliances, this is where you come in. Somewhere along the line a decision has to be made, have a technician come out to repair it, buy a new appliance or fix it yourself. This is where we come in. Instead of paying the technician price to get your product fixed, let our experts provide you with the information you need to get your appliance working again, even if that means you don't need to buy anything. We understand that money doesn't grow on trees and provide a service for all those who don't mind getting their hands a little dirty. 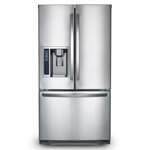 Did your Whirlpool refrigerator water dispenser stop working? This can be caused by a stopped up water filter. If it has been awhile since you changed your filter, you may want to replace it before further testing. If you are confident your filter is OK, then the water inlet valve is the next most common malfunction. You can bring the water valve in to the nearest U-FIX-IT store for free testing or call for troubleshooting assistance over the phone. 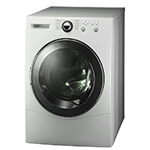 Is your Whirlpool washing machine not draining or spinning? This can be as simple as the lid switch being broken. Checking the switch for continuity with a meter is the best way to prove the switch is bad, or you can bring the switch to the nearest U-FIX-IT store for free testing. "Do unto others as you would have them do unto you" are the words we live by. We have experienced men and women who can help identify any problems with your Whirlpool appliance and at the end of the day, we will have the appliance part you need or we will get it for you. That's a promise! *The use of the Whirlpool logo is not authorized by, sponsored by, or associated with the trademark owner.